Faith Community Church is blessed with a primarily volunteer ministry staff. This leadership team serves FCC in a valuable way, while holding full-time careers outside of the church. 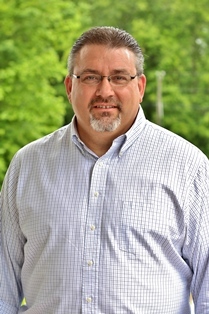 Pastor Jim Garrett has been serving as the Senior Pastor at Faith Community Church (FCC) since 2000. 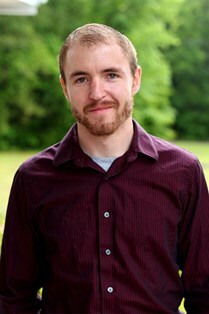 He and his wife, Shelley, have 3 children, Hannah, Trey, and Kaitlyn. Please click here for more information about our Pastor. 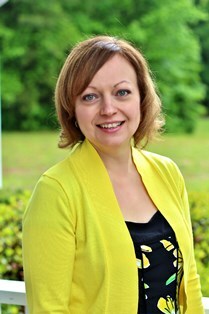 Anne Roe serves as music director at Faith Community Church, playing the keyboard, leading the choir and praise teams. Anne grew up the daughter of a southern Baptist minister and began piano lessons at 6 years of age. By age 9, she was playing regularly in church services and has held several positions in various churches since. Anne studied piano, organ and voice at Shorter College. Coming from a musical family, her interests are diverse and she brings that desire to lead the congregation in many styles of church music so that everyone can worship and relate in a way that is familiar and meaningful. Outside of church, Anne holds a professional position in the corporate world. She is married to Keith Roe and they reside in east Cobb. Anne enjoys spending time with her family and friends which usually involves good food. She and Keith enjoy traveling and experiencing new things. "Faith Community Church has been my home for over 22 years, 8 of which have been joyfully served as the Youth Director. My family came to the church in 1991, when a tornado ripped through our trailer park which was located next door to the church on McKown Road. Though our family was rough around the edges, Faith welcomed us and loved us despite our imperfections. Through the struggle of high school, it was apparent that God was setting certain things in place in my life to prepare me for a life ministering to teens: a passion for people, a desire and skill to teach, and a love for God's creation and sacrifice. When my mentor and youth pastor was called to ministry in a different capacity, a hole was left to be filled that I wasn't quite sure of. Despite my insecurities, God has shown me that He equips those whom He has called, not vise versa. I am now married to my beautiful wife, Katie, with two children of our own, and it is a joy to have the teens engaged in our lives. From Bible studies, baby sitting, yard work, and feeding the homeless, to working through difficult times with those teens, the Lord continues to grow me and the group." 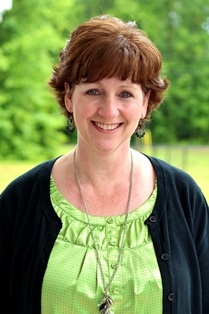 Jenny Tuggle serves as the Young Adults Director at FCC. 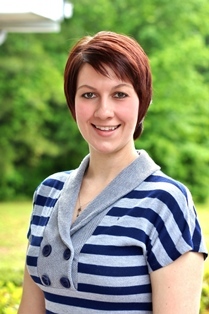 She joined the church in 2010 and quickly realized the need for a ministry to the college/career-aged young adults. Jenny remembered graduating high school, and discovering how hard it was to find a place in church where she "fit in," since the youth group felt too young and the regular adult ministries seemed too old. Along with her co-director, Hannah Garrett, she started up the group called, "Sunday Morning Coffee," and they seek to reach out to this age group who can sometimes feel lost in the church. Jenny served in the U.S. Air Force for 6 years and currently works for a paper recycling company. She and Hannah have a small photography business on the side. Jenny lives with her cat and dog in Dallas, GA and enjoys being an Aunt of two sweet nieces and two adorable nephews. Shelley Garrett is filling in as our Children's Director, as we are currently looking to fill this voluntary position. Shelley oversees our children's education team, including our children's Sunday School teachers, Wednesday night teachers, and our Children's Church, Nursery, and Vacation Bible School teams. In addition to this role, she teaches one of our adult Sunday School classes, co-directs our Women's Ministry, and plays the piano for our Sunday morning worship service. Shelley has a Music Education degree from Chadron State College, Nebraska. Aside from her duties at the FCC, Shelley teaches music at a local Christian academy and teaches private piano lessons as well. She is married to our Senior Pastor, Jim Garrett, and has three children, Hannah, Trey, and Kaitlyn.